I’ve been in Oaxaca for almost two months now, and with the calm comfort of time I have been exploring at leisure. There have been street food crawls and market wanders, cooking classes and long coffees with locals and expats to learn more about the city I currently call home. In the middle of these fluid days was a jam-packed week, when my mother planned a last-minute visit to town. 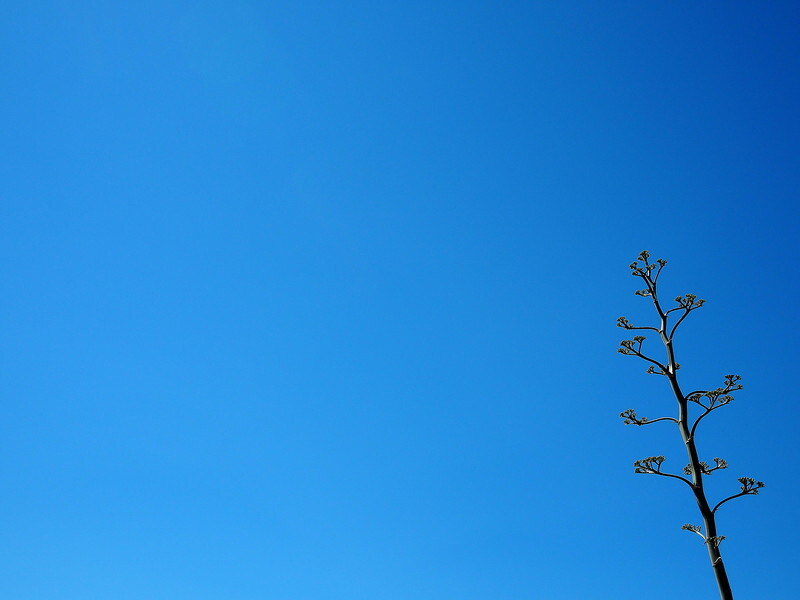 We ate, we hugged, we drank a lot of mezcal, and we spent a whirlwind day of sightseeing: to the archeological ruins at Mitla, to the widest tree in the world, El Tule, and to Hierve el Agua. I’ll be writing about Mitla and the Tule tree another time as both are fascinating in their own right. 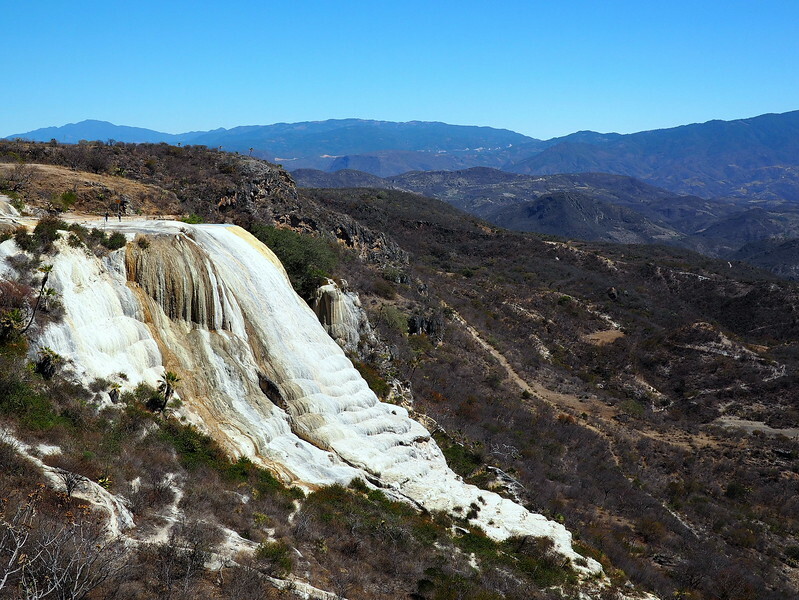 In the interim, I wanted to share a short post about Hierve el Agua, the calcified waterfalls southwest of Oaxaca de Juarez (Oaxaca City). Not only are they a gorgeous sight, but the history and geology make for interesting learning. Also, the oxymoron of the sight’s name merited a discussion on the blog. 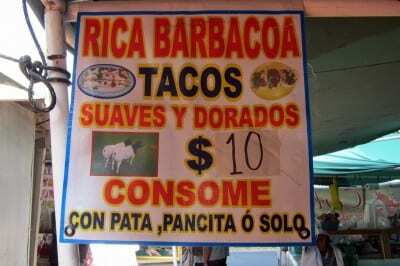 Love Mexico and its food? 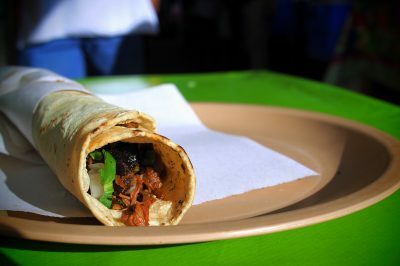 Be sure to check out my street food walks of Oaxaca! 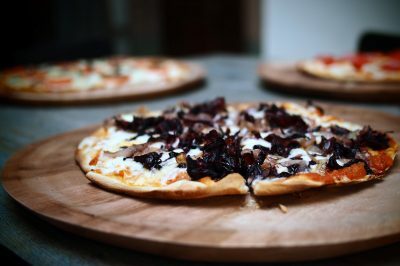 Learn more and book via my Jodi Eats Food Walks page. 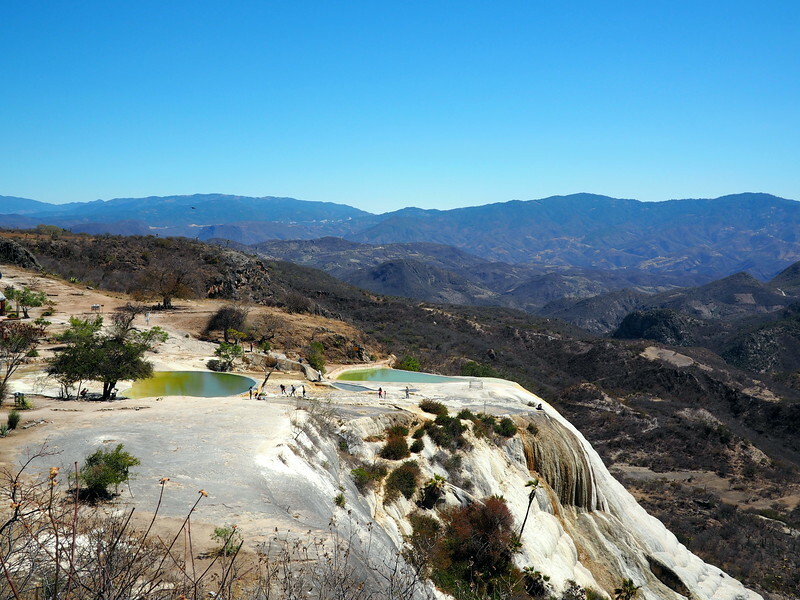 Mineral pools and the smaller of the two petrified waterfalls. Why are the falls called Hierve El Agua? A little sulphur goes a long way. Per the Oxford English Dictionary, the Greek word stalaktos means “to drip”. In the case of underground caves, rainwater trickles down, seeping through limestone and creating a calcite patch on the roof. 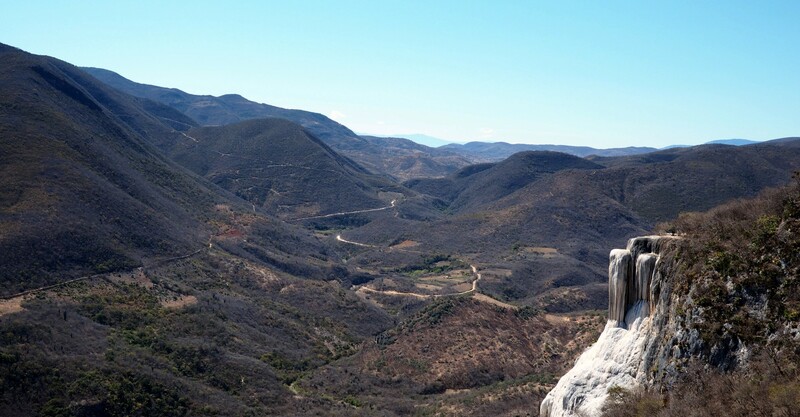 In the case of Hierve el Agua, the process happened outside, with minerals that bubbled out from the middle of rocks, slowly calcifying over thousands of years into the rock formations that you see today. These ‘falls’ were named for the subtle phenomenon of mineral deposits “boiling” on the mountainside. The name is slightly misleading because the springs aren’t actually boiling. They are heavily carbonated instead, with temperatures varying between 22-26C. To be fair they do spurt out from the rocks like boiling water might. And their nonthermal temperatures mean that swimming is a possibility. Yay! Hierve el Agua might be a tourist destination today, but the bubbling springs used to supply water to an intricate series of canals and terraces leading down to the valley, comprising one of the most complete terraced irrigation sites in Mesoamerica. Archeologists suggest that the canal system was abandoned sometime in the 1300s, (source), with only traces of the canals remaining today. Presently there are two falls to visit, a larger (called cascada grande) and a small one (called, you know it, cascada chica), which we visited at the same time. From the top of the mineral pools we hiked a short few minutes up, then looped around to the left to view the second, smaller fall from the other side of the rock’s edge. Agave from the short walk to the “cascada chica”. A view of the “cascada grande” from the other side of the cliffs. We arrived early and I would suggest you do also, as the site gets awfully crowded during high season. There are changing rooms not far from the parking lot if you need to change into a swimsuit to take a dip in the mineral pools and cool off. 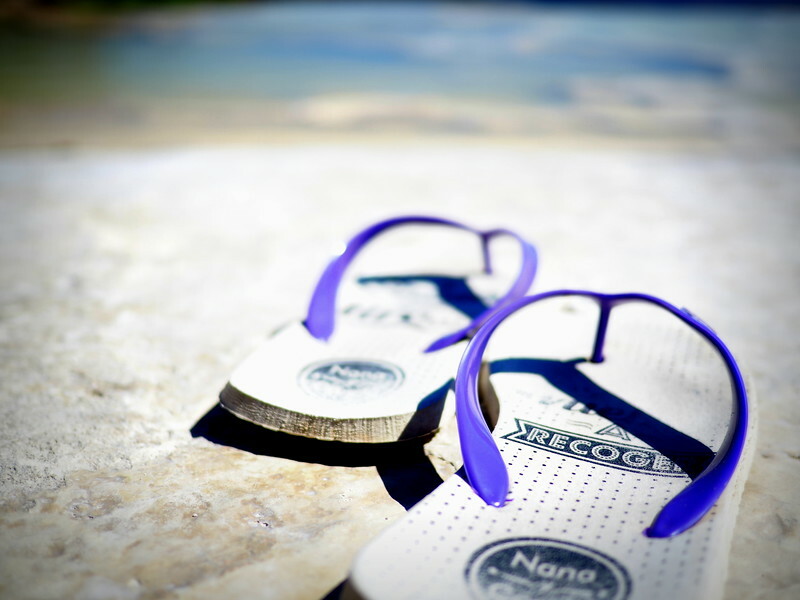 Someone left their flip flops after a swim in the pools! Made for a fun photo. And because it’s me, I’d be remiss if I did not mention the food: there are stalls serve the usual corn snacks, perfect for the next leg of your journey: quesadillas, memelas, and more. We got ours filled with stringy quesillo, Oaxacan cheese, and squash blossoms. Also recommended for a snack: freshly chopped jicama, a delicious Mexican turnip that is faintly sweet and extremely refreshing, especially when dipped into a combo of chili, lime, and salt. The simplest is to hire a driver, and combine Hierve with other sights in the region, such as Mitla and the gorgeous El Tule Tree, the widest tree in the world. If you would like to use a driver, I have a trustworthy recommendation for you — just send me an email via the contact form on the site. The cheapest would be to take a bus or collectivo (shared taxi) from Oaxaca City just outside the baseball stadium (north of the city center) to Mitla. From there, you can grab another shared taxi or shared pickup truck to Hierve el Agua — you’ll see them holding signs for your destination. Finally, you can opt to take an organized day tour to a bunch of the sights, which most hotels and hostels can book for you. This can be a bit rushed, and we opted to build our own with my mum, 2 friends, and a driver for the day. 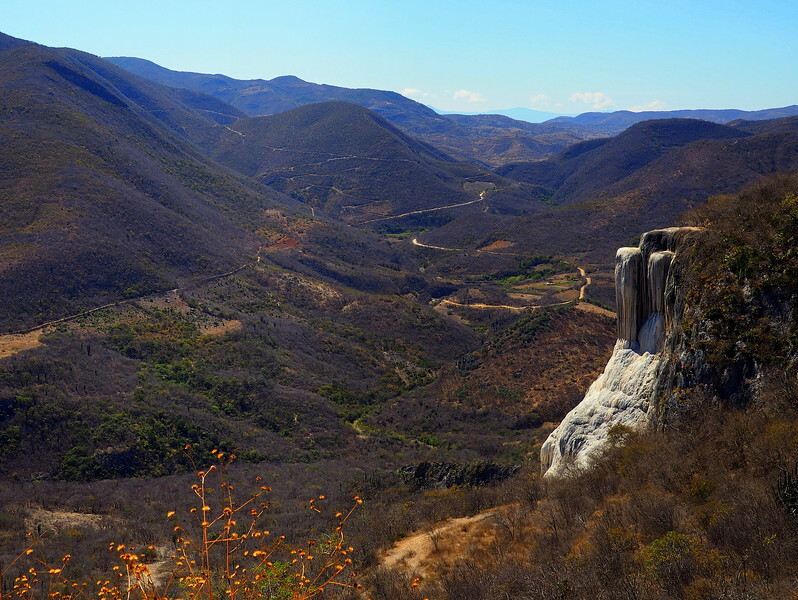 A note about tolls: Note that there is now a new highway leading from Oaxaca to Hierve el Agua, and there is a toll of 49 pesos to take that new road. In addition, the pueblo of San Lorenzo Albarradas has put up what they refer to as road maintenance toll on the way to Hierve, which is an additional 10 pesos per person. Entrance to the springs are paid separately, at 20 pesos per person. And finally, if you do hire a driver, the parking at Hierve el Agua is 50 pesos per car. If you’re a celiac coming to Oaxaca, please see my long gluten free guide to Mexico here. 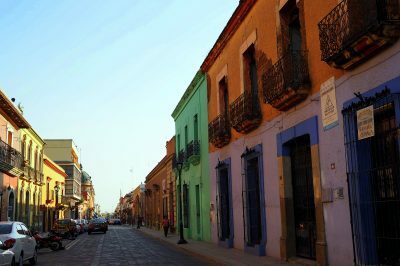 If you’re in the area and want to visit Puerto Escondido, I have a guide for that beautiful region of Oaxaca state here. 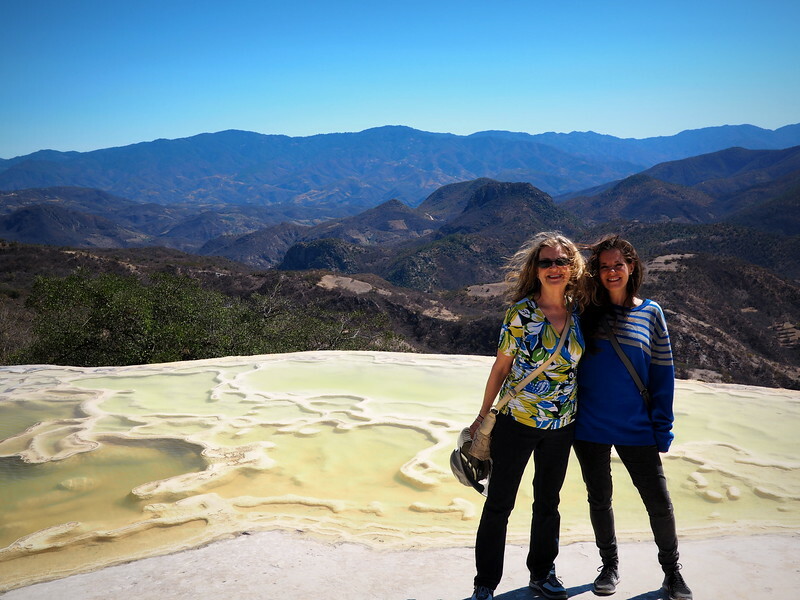 Mother daughter visit to Hierve el Agua! As day trips go, it was an excellent idea and if your time in Oaxaca allows for it, I would definitely recommend a visit. 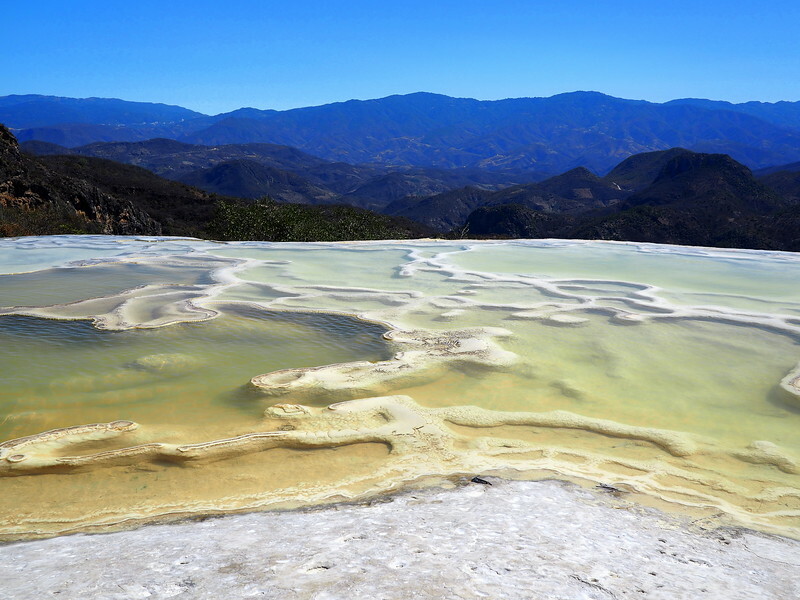 How much is the charge for a driver and car to visit Hierve el Agua and Mitla? Is this a whole day trip or can this be done half day? Hi John, it’ snot a guided trip – depends on the rates for drivers at that time/gas prices. At present it’s 200 pesos an hour for the car to Hierve. It’s over an hour to get there, so it’ll cut it close! Would you mind sharing the contact info for the driver you mention. Hi, looking for a driver to Heive de Agua too. Can you send me the drivers contact information? Thanks. Hi Kim, please send me an email via the contact form for the driver’s information. Thank you! I’d also love that contacy info for the driver. 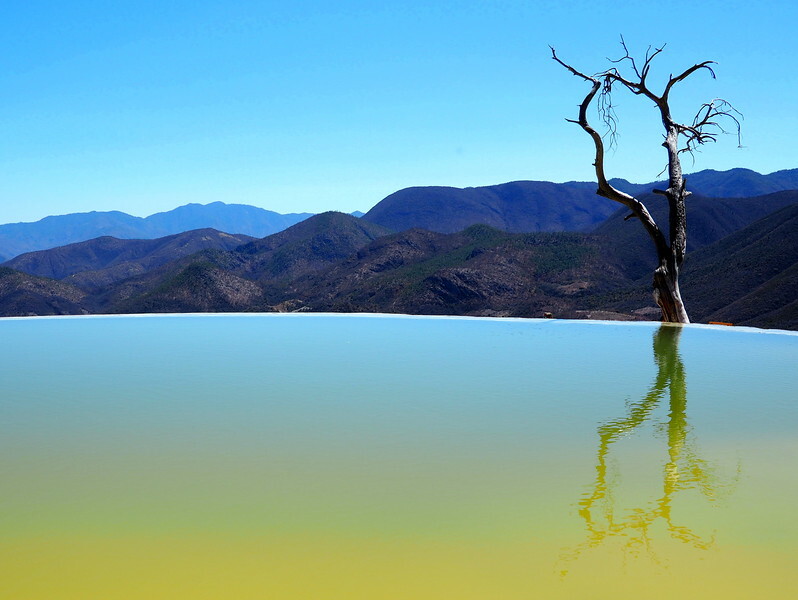 Thanks much for the detailed info on Hierve el Agua. Would you mind to share the driver details as mentioned? If you are still willing, I would like information about the driver as well. Thank you for the details on this beautiful place! Hi Aspen, not sure if you saw what’s going on (www.legalnomads.com/a-long-hiatus/) but work is on hold so I missed this comment – pls email to jodi-at-legalnomads .com if you’d like more info about the driver, per the note in the post. Thanks for the helpful info. I’d love the contact info for your driver. Hi Ian, not sure if you saw what’s going on (www.legalnomads.com/a-long-hiatus/) but work is on hold so I missed this comment – pls email to jodi-at-legalnomads .com if you’d like more info about the driver, per the note in the post. Are you taking local Spanish language classes? 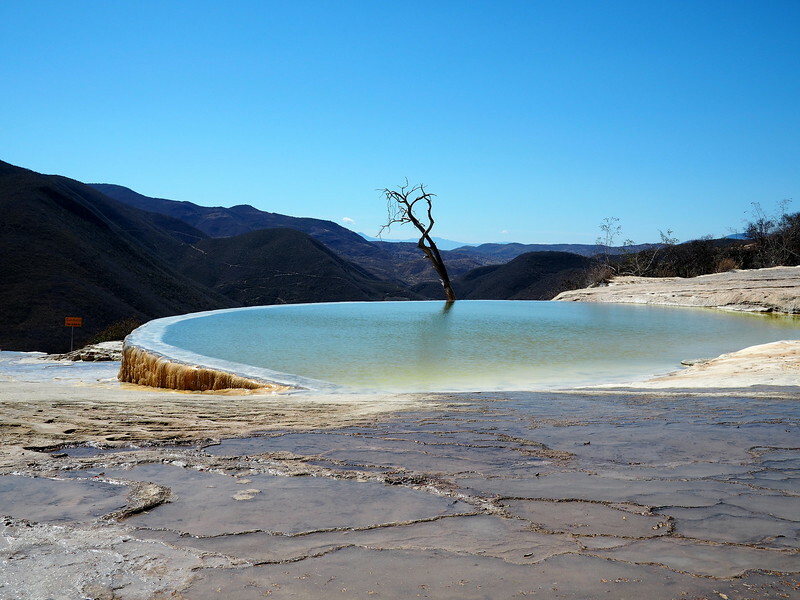 My wife and I are planning a trip to Oaxaca. Twice I have come upon your blog when searching specific items. Thanks you for the informative information and pictures, it takes the fear out of traveling and helps us organize what we want to do. Thank you Brian! I am so glad it’s been useful. Hello! I am wondering if I can get the contact information for your reliable driver contact. I plan to visit Oaxaca in February. Thank you for this post! Hi Gaby, per the post I sent it to you via email. Enjoy Oaxaca! Hi Julie. Per the post please email me so that I can send over my driver’s information. Can you please email me your driver contact? I’m heading there in mid May. Per the instructions in the post, please send me an email. Thanks!